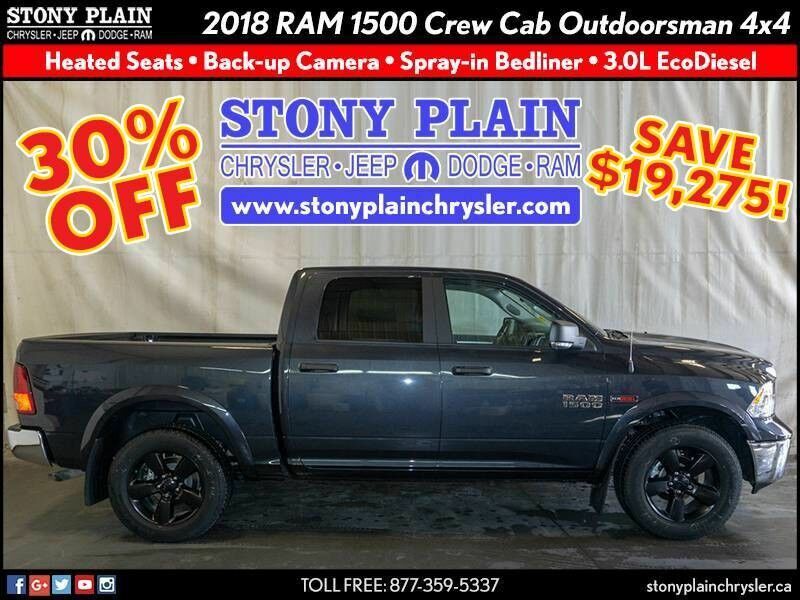 Stony Plain Chrysler has a wide selection of exceptional pre-owned vehicles to choose from, including this 2018 RAM 1500 Crew Cab Laramie 4x4 pickup truck. Opulent refinements married with exceptional engineering make this the kind of car you'll want to own for a lifetime. This 4WD-equipped vehicle will handle beautifully on any terrain and in any weather condition your may find yourself in. The benefits of driving a 4 wheel drive vehicle, such as this RAM 1500 Laramie, include superior acceleration, improved steering, and increased traction and stability. 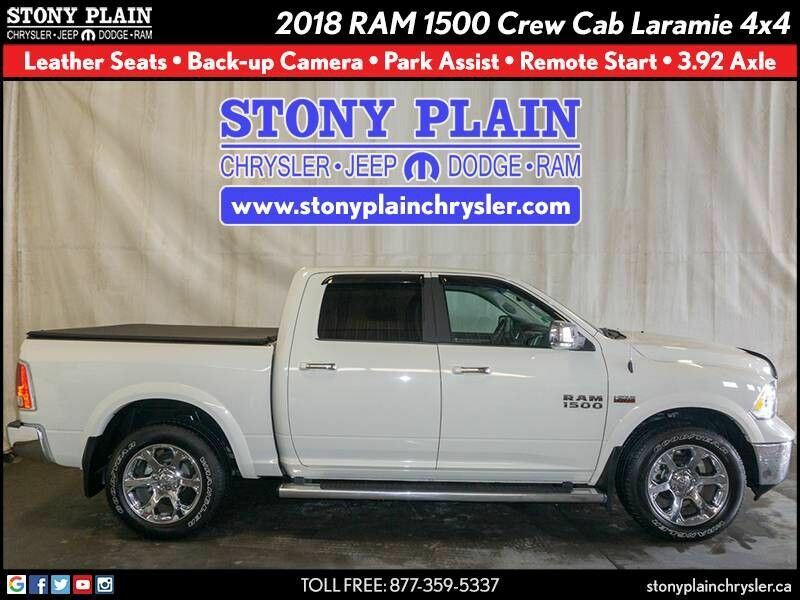 Marked by excellent quality and features with unmistakable refined leather interior that added value and class to the RAM 1500 You can take the guesswork out of searching for your destination with this RAM 1500 Laramie's installed Navigation system.